After 30 minutes on a treadmill, I'm dripping in sweat. Can you imagine what would happen if I spent 60 days in a desert? Yeah, I don't want to think about it, and unlike author Helen Thayer (named by National Geographic as "One of the great explorers of the 20th century"), I never want to attempt such a dangerous tread. 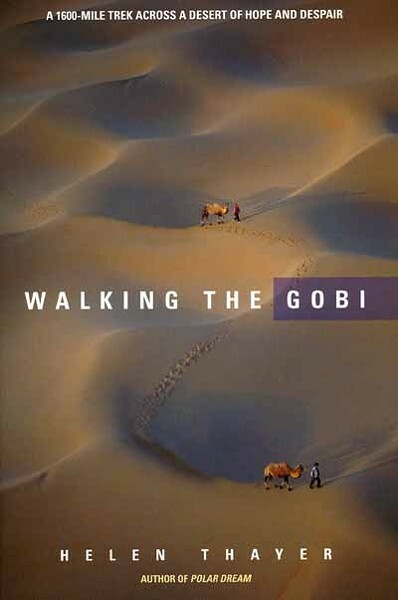 In her newest book, Walking The Gobi, 63-year-old Helen Thayer crossed 1,600 miles of Mongolia's Gobi Desert (with obvious drawbacks: heat, dehydration, sand, scorpions, drug smugglers, etc.). Having lived to tell about the journey, Thayer will be signing copies of her book and answering questions for anyone wanting to hear about her adventure. Free. 1 p.m. Joseph-Beth Booksellers, 4345 Barclay Downs Dr. 704-602-9800. www.josephbeth.com.